Kick off the summer season with 8 fun DIY’s with a summery theme. Cut off jeans, bright new flip-flops, baskets of strawberries and glow jars are just a few of the ideas I’ve found recently to get your season off to a good start. Above photo – From Panka with Love. Check out the ideas and links at my post today at Babble HERE. I love this photo!! 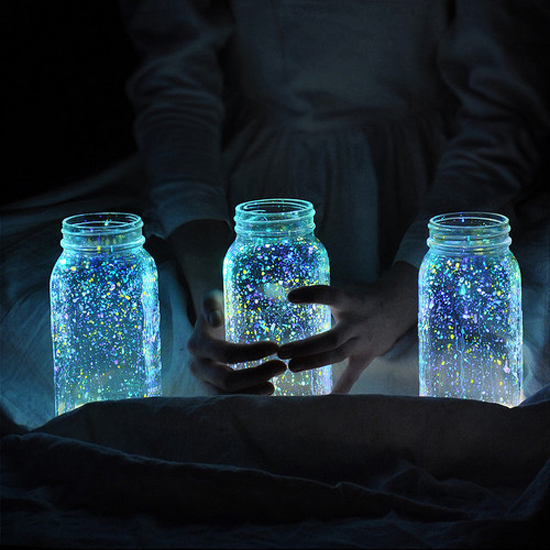 do dreamy..
Glow jars, what a great idea! Also love the summery camera strap - perfect way to remind yourself you're on vacation and *not a photographer* for a moment. Poppytalk always picks out the best DIY projects and I must say, the glow jar is an amazing idea. I'll check out the other ---I'm sure---fabulous summer DIY projects. Thanks, Poppytalk! You're the best!